November 3, 2017 - Melissa Skrocki, Shareholder in our Corporate and Business and Intellectual Property Practice Areas, is the recipient of Monmouth Regional Chamber of Commerce’s 2017 ATHENA Young Professional Leadership Award. The ATHENA Award recognizes an individual for business or professional accomplishments, for community service, and especially for mentoring others and providing a role model to encourage women to achieve their full leadership potential. The 2017 YOUNG ATHENA recipient is selected by a committee which reviews each candidate’s application with criteria established by the ATHENA Foundation, including commitment to profession, community involvement, and how the nominee has opened doors for women in business. 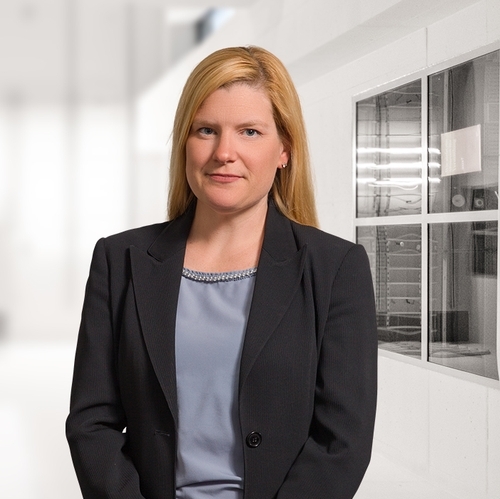 Melissa focuses her practice on counseling business clients through transactions with an emphasis on corporate and intellectual property issues. Melissa represents various female owned businesses and has counseled a number of them in connection with Woman/Minority Owned Business (WMBE) certifications. She has been recognized by Chambers USA as an “Associate to Watch” in 2013 and 2014, as well as a “New Jersey Rising Star” in 2010 and 2017 by Super Lawyers. Melissa is the co-chair of her firm’s Mentor Program and takes pride in promoting the next generation of her peers. Melissa also serves on the Board of Directors of Easter Seals New Jersey and is a Board Member of the Women of Leadership Committee of the New Jersey Chapter of the Association for Corporate Growth. This committee focuses on facilitating connections between senior level women in the business community so they can share experiences and contacts while providing support for each other. She also served on the Board of the Jersey Shore Chapter of the Mothers of Multiples (JSMOM) for 5 years. JSMOM provides support to families of multiples in Monmouth and Northern Ocean Counties including organizing monthly meetings for mothers, delivering meals to families with premature and newborn babies and charitable fundraising for families in need and local charities that relate to the mission of the organization.